Monika: Today it is my pleasure and honour to interview longtime transgender activist Nancy Nangeroni. 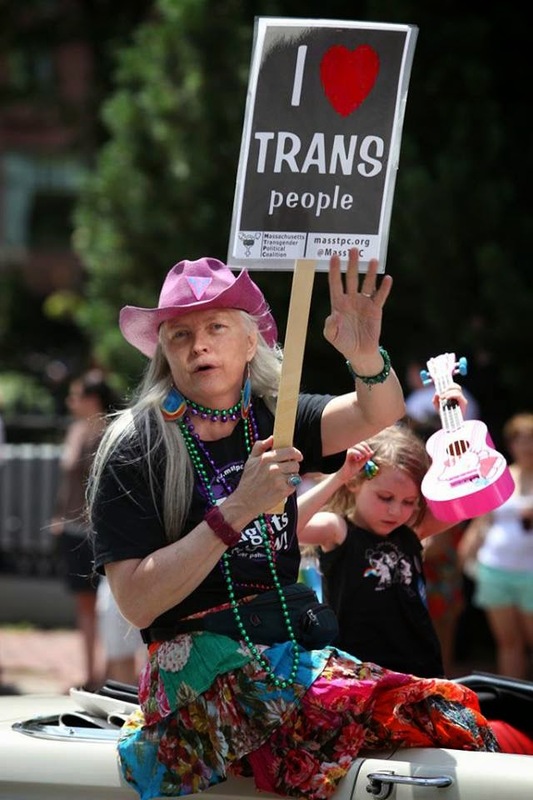 Nancy founded the Boston chapter of The Transexual Menace, a ‘disorganization’ of transgender activists, in 1995. She co-produced and co-hosted GenderTalk for 11 years and GenderVision for 11 programs. She served as Executive Director of the International Foundation for Gender Education and has been Chair of the Massachusetts Transgender Political Coalition since 2008. An MIT-degreed engineer, she worked in industry for 20+ years, now focuses on providing leadership and tech empowerment to the broader trans community. Hello Nancy! Nancy: Hi Monika, thanks for inviting me to join your many amazing interviewees! Monika: For many years you have been dealing with transgender advocacy. What has been achieved so far and what are the current challenges for transgender people in the USA? Nancy: When I began volunteer work for IFGE in 1990, there was little respect shown for people expressing or identifying with the ‘opposite’ gender, and any critique of binary gender thinking was relegated to the radical fringe. Now, we have laws in hundreds of jurisdictions protecting people’s right to freedom of gender identity and expression. 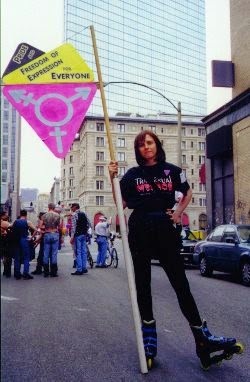 participation in Boston Pride 1997. As to current challenges for trans people in the USA, they’re the same as they’ve always been: communicating to family, friends, employers and others the truths of our personal nature; finding a way to integrate our inner gender needs with our external situation; finding a partner and making a home. For those of lesser privilege, it can be a battle for survival; for others, thanks in part to the progress we’ve made, it is becoming more a matter of practice and style. It’s important to remember that transphobia is a global problem and people suffer horrific persecution in some parts of the world just because of their gender. Monika: In your first co-creation with your partner Gordene O. MacKenzie, you produced the music video In Memory of Rita in remembrance of the candlelight vigil for murdered transwoman Rita Hester, an event that inspired the International Transgender Day of Remembrance. How relevant is this event these days? Nancy: Until people no longer suffer violence for daring to openly live their true gender, the TDOR remains an important reminder of the worldwide hostility, violence and murder that too many brothers, sisters, and genderqueers suffer every day. TDOR is about remembering and honoring victims and standing together in community against gender-based hate. Most trans folks want to see a positive representation of our community, and some were unhappy that TDOR was our community’s most visible event. So MTPC started organizing Trans Awareness Week each November. It’s grown and attracted so many great events that this year we’re helping coordinate a Trans Awareness Month to spread events out a bit so more people can participate in more events. Monika: From 2006 to 2008, you-produced and hosted "GenderVision", a cable television program aimed at educational use. You were also the author of Rally for Transgender Rights, a short film that played in the 2011 Boston Museum of Fine Arts GLBT Film Festival. Could you elaborate more on your film projects? Nancy: It was my life partner Gordene MacKenzie who got us into film. She loves using a camera, and I enjoy editing, so it was just natural for us to produce something together. 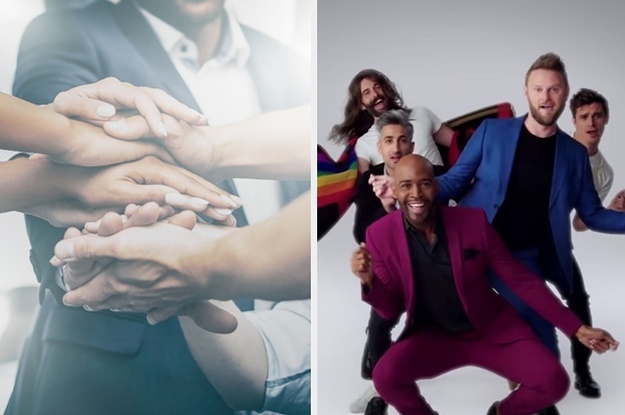 For GenderVision, we spoke with community members about what they thought was most needed, and they were unanimous in agreeing that educational programs about trans people, rather than a show *for* trans people, was most needed. So we tried to produce programs that introduced non-trans people to our community. All 11 GenderVision programs plus many extra segments are available at GenderVision.org. The Rally for Transgender Rights video just happened, Gordene grabbed some awesome footage from a Harvey Milk Day demonstration in favor of trans rights at the State House, an amazing event that we just had to share. We look forward to doing more just as soon as possible; we love collaborating! 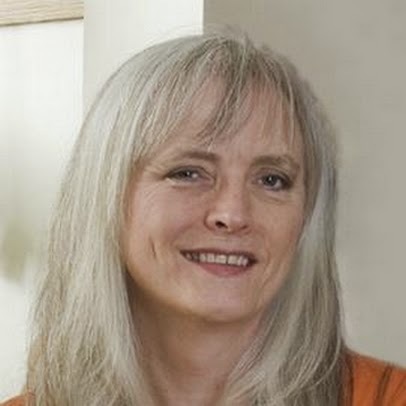 Monika: Most people interested in gender, transgender issues and progressive politics will remember you as a host and producer of "GenderTalk", an award-winning radio talk show aired in 1995-2006 on WMBR-FM in Cambridge, MA, and worldwide at www.gendertalk.com. It was a unique project. How do you recollect working for that project? Nancy: GenderTalk was a labor of love that grew from my frustration with 1990s media and the preponderance of formulaic and sensationalist portrayals of trans people and our issues. I wanted to create a platform for speaking about ourselves as we see fit, not as some producer judged acceptable. I wanted to bring activist voices to the fore. Then, when Gordene joined the program in 1999, she brought an incredible depth of knowledge, appetite for research and commitment to integrity that took the whole thing to the next level and brought us the most amazing guests. But from the beginning, I told the crew that it had to be fun, because that would be the only way we would keep doing it week after week. And so it was a great privilege and pleasure to do, and we got to speak with trans activists from around the world. 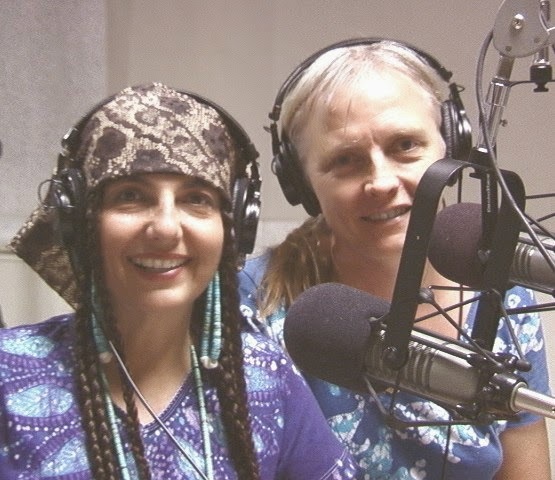 You can still listen to over 400 of our programs at GenderTalk.com. Nancy: I first discovered the magazine back when it was called just “Tapestry Magazine” (I later pushed from within for the name change). It was the first publication I had read by, for, and about trans people and community. 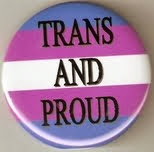 Reading the words of older, braver trans pioneers helped me formulate, for the first time, a rational basis for self-respect, and even pride, in who I was. I read the magazine avidly for years, and gave countless volunteer hours to IFGE. Then, as executive director, I made the magazine my highest priority and we broke new ground in FTM inclusivity and international stories. But now, of course, the internet is the place to turn for news and information. At a recent Boston Pride. Nancy: Nobody succeeds socially in solitude, and the trans community benefits from associating with other communities. Life is about relationships, and the trans community makes progress only by building and maintaining healthy ones. That means advocating for our own needs while being mindful, supportive, and patient towards the needs of others. Many, if not most, GLB communities have been incredibly supportive of trans inclusion, and those who are resistant will either come around, or be worked around. Given the amazing progress we’re enjoying, we’d best be as gracious as possible. Monika: A few weeks ago Jared Leto received his Oscar for Best Supporting Actor for his role in "Dallas Buyers Club" as transgender Rayon. What do you think about transgender stories or characters which have been featured in films, newspapers or books so far? Nancy: This too continues to improve. It’s great to see Leto honored for playing a (very conservative) trans character, especially after the shameful jokes made at Felicity Huffman’s expense at the Oscars in 2006, when she was nominated for her excellent portrayal of a (very conservative) trans woman in Transamerica. My favorite actress activist these days is Laverne Cox, who plays a smart (non-conservative) trans character in a great show and is an absolutely brilliant advocate for our community. Monika: At that time of your transition, did you have any transgender role models that you could follow? I also found inspiration from Yvonne Cook-Riley and Holly Boswell’s wisdom around the pitfalls of binary thinking and medicalization, and Leslie Feinberg’s call for transgender liberation. Meeting Chris Howey at Fantasia Fair convinced me that transition was possible for me, and I learned from countless others as I attended trans conventions around the US and EuroFantasia. But I’m not a fan of role models; Laverne Cox is spot on when she uses the term “possibility model” to shift people’s thinking about available choices. Nancy: Overcoming my own prejudices was the hardest. Back in the 1970s and 80s, I internalized the culture’s prejudice and felt that any male who acted like a woman was perverse. In other words, I hated that part of myself. I didn’t want to associate with such people, so I suffered alone. I felt like I had nothing to lose; I was an accident looking for a place to happen. After the inevitable fall, I figured that if I didn’t deal with my gender issues, I’d just fall again, so I began to take coming out seriously. From that point forward it was much easier. Monika: What do you think about the present situation of transgender women in the American society? Nancy: We are fortunate, society is becoming more open and accepting of trans people and our lives are improving as a result. Many trans kids now enjoy supportive families and schools. Many trans adults now enjoy supportive employers and workplaces. But there’s lots of room for improvement. Some trans women are at heightened risk due their race, class, or social situation. Too many people still victimize trans folks. Too many people blame their own gender discomforts on transgender people. And some trans women still fall into the trap of thinking that being more feminine is the goal, rather than a means of achieving greater gender fluency. Nancy: Certainly. But there are plenty of other human rights yet to be won. There is more human trafficking worldwide now than ever before. My country incarcerates more people than any country, ever. Women are still not treated as equals. Racism is rampant. Too many kids suffer from bullying at school and at home. So while we’ve made gains for transgender people, there are many people around the world suffering needlessly. Ours is just one of many issues requiring serious attention, and we’d best give some attention to other issues if we want others to give attention to ours. Nancy: I’m happy to participate as needed. I led the first trans lobby day in my state, and participated in early trans lobbying efforts in Washington, DC. I still lobby my elected representatives. I’m a member of the Beverly Democratic City Committee, and made a big effort when Obama was first running for President. 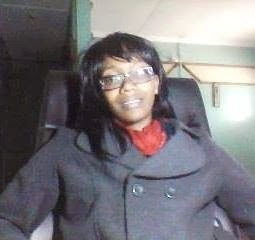 I stay informed and enjoy talking politics, lobbying for change in the right direction at every opportunity. Nancy: Love is what gives my life meaning. When I suffered a near-fatal motorcycle accident, the love shown me by caregivers, friends and family transformed my life in a good way. They not only fed my will to recover as fully as possible, but they also gave me the inner strength to come out. I always wanted a life partner, but it wasn’t until 1998 that I met Gordene MacKenzie, who I’d been told was one of the Southwest’s leading activist for trans rights. She and I have now enjoyed an amazing partnership of equals for 16 years. We come from very different places but keep discovering new ways that we complement one another. We share love for the environment and animals and a passion for creating change. I love her deeply and always will. Nothing is more important to me. Nancy: When I think of fashion, I can’t help but think of worker exploitation, toxic processes involved in production, and irresponsible consumption. That said, I love bright colors and fun designs. Gordene and I especially enjoy buying secondhand or directly from artists. She is a jewelry designer who loves the southwest and creates her own style that always involves fabulous jewelry and colors. I enjoy the many beautiful items she lavishes on me. I work mostly at home, so I dress quite casually most of the time, leggings and t-shirts etc. But we love dressing up together, the wilder and more fun the outfit the better. Nancy: I’m working on it. I’ve always figured that I’d first live a life worth writing about, then spend my senior years writing about it. That time is approaching, and I’m looking forward to sharing my reflections. I’ve already drafted many chapters and look forward to crafting and polishing and picking the very best stories to tell. Monika: What would you recommend to all transgender girls, struggling with gender dysphoria? Nancy: Gender Dysphoria is a medical term that implies pathology. I prefer to think of gender as a rich interpersonal language that is fun to speak. Most people only know two words, which doesn’t make for very exciting conversation. There are so many possibilities! My ideal gender is alive, awake in every way and every moment, always open to change, and never just a choice between two possibilities. Monika: Nancy, thank you for the interview! Nancy: Thank you, Monika, for the thought-provoking questions and this opportunity to reach your readers! All the photos: courtesy of Nancy Nangeroni.